Making the decision to undergo surgery is not easy. Few people have the opportunity to get to know their surgeons very well before they agree to a procedure. In some cases, you never have the chance to make a decision or choose your surgeon. When things go wrong, it can be difficult to get an explanation. Medical negligence comes in many forms, but few are as difficult for the victims as errors in surgery. Surgical errors range from the obvious to the obscure. If a surgical instrument is left behind or the doctor operated on the wrong body part, it is clear that negligence has occurred. Other problems, such as post-op infections and surgical complications can be signs of negligence, but are not conclusive. If you believe you have been the victim of a surgical mistake or that a loved one died due to negligence during an operation, you need a knowledgeable attorney to assist you. 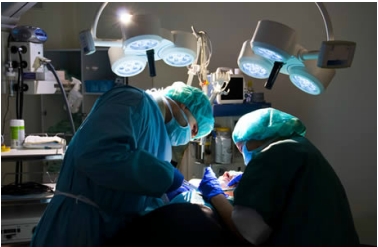 At The Law Offices Of Jeffery A. Hanna, our injury attorneys have extensive experience in surgical malpractice cases. We have trained medical personnel contracted to help us identify situations where negligence may have occurred. We can review the facts of your surgeon malpractice case and help you move forward after your botched surgery. If you believe mistakes were made during your surgery or plastic surgery, do not hesitate to speak to a Missouri surgical error attorney. Call The Hanna Law Offices Of Jeffery A. Hanna at 660-747-2550 or contact us online to schedule a free initial consultation today.